A New York County Surrogate's Court has refused to allow animal welfare advocates to reopen proceedings concerning the charitable trust established by Leona Helmsley and direct a proportional share of the trust's funds to the care of dogs in accordance with the wishes of the deceased hotel heiress. Of the more than $450 million the trust has already given away, only $100,000-about one-fiftieth of one percent-has gone to help dogs, despite Mrs. Helmsley's explicit wishes that a significant portion of her trust be used for the care of dogs. In August 2009, The Humane Society of the United States, the ASPCA (The American Society for the Prevention of Cruelty to Animals), and Maddie's Fund jointly filed a motion to intervene in a legal proceeding in which the trustees had obtained a ruling - without notice to or involvement of any animal advocates - permitting the trustees to disregard Mrs. Helmsley's declared intent to benefit dogs. The court denied the motion, holding that only the Attorney General could represent the interests of potential beneficiaries, although his office had already endorsed the trustees' position that they can ignore her instructions favoring the care of dogs. Wayne Pacelle, president and CEO of The HSUS said, "The lower court ruling is a setback, but this is just the beginning of this legal battle. Giving just one-fiftieth of one percent of the trust's grants to dog-related organizations is a trifling amount, and contrary to Leona Helmsley's expressed intentions. 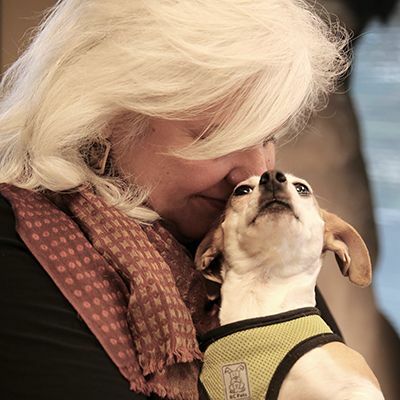 These resources could do tremendous good in promoting shelter adoption and spay and neuter programs, stopping puppy mills and dog fighting, and advancing other programs to help dogs." "Whether you've made a one-time donation of $25 or created a multi-billion trust, the wishes of a charitable donor must be respected," said ASPCA President & CEO Ed Sayres. "Right now, the trustees are not using the donation as it was intended - for the care and protection of dogs. Failing to uphold Mrs. Helmsley's charitable intentions sets a dangerous precedent for anyone who plans to make a significant charitable gift as part of their legacy and trusts that their final wishes will be carried out." "This money has the potential to change everything for man's best friend," said Rich Avanzino, president of Maddie's Fund. "The Helmsley trustees have turned their backs on dogs and ignored Mrs. Helmsley's clear intent that a significant portion of her charitable trust be used to improve the welfare of dogs, for which she had such great affection." An appeal of the lower court's ruling is expected. The Humane Society of the United States is the nation's largest animal protection organization - backed by 11 million Americans, or one of every 28. For more than a half-century, The HSUS has been fighting for the protection of all animals through advocacy, education and hands-on programs. Celebrating animals and confronting cruelty - on the Web at www.humanesociety.org. Follow The HSUS on Twitter. See our work for animals on your iPhone by searching "HumaneTV" in the App Store. Founded in 1866, the ASPCA® (The American Society for the Prevention of Cruelty to Animals®) is the first humane organization established in the Americas and serves as the nation's leading voice for animal welfare. One million supporters strong, the ASPCA's mission is to provide effective means for the prevention of cruelty to animals throughout the United States. As a 501(c)(3) not-for-profit corporation, the ASPCA is a national leader in the areas of anti-cruelty, community outreach and animal health services. The ASPCA, which is headquartered in New York City, offers a wide range of programs, including a mobile clinic outreach initiative, its own humane law enforcement team, and a groundbreaking veterinary forensics team and mobile animal CSI unit. For more information, please visit www.aspca.org. To become a fan of the ASPCA on Facebook, go to www.facebook.com/aspca. To follow the ASPCA on Twitter, go to twitter.com/aspca.